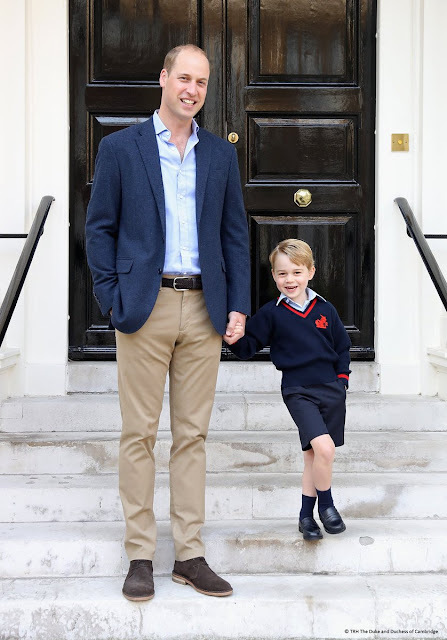 Prince George of Cambridge started school today at Thomas's, Battersea. 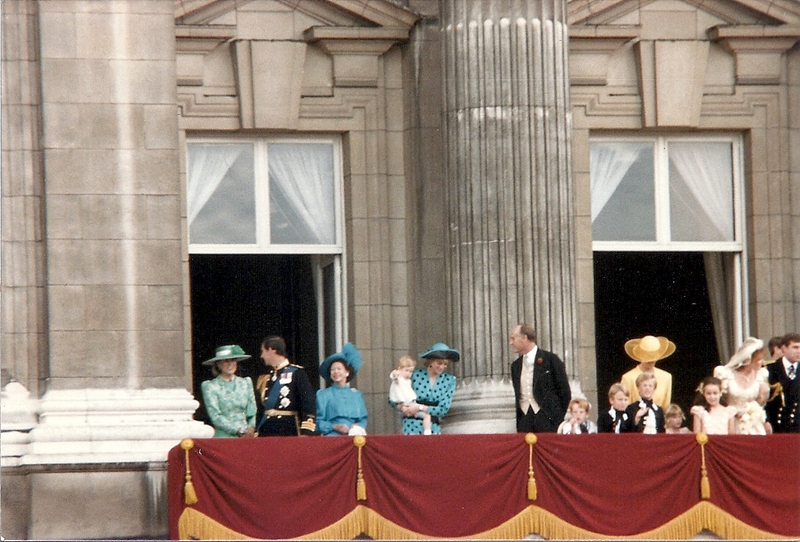 He was accompanied by his father, the Duke of Cambridge. The Duchess of Cambridge was unable to accompany her husband and son to school as she is suffering from Hyperemesis Gravidarum, a severe form of morning sickness. The Duchess is expecting a third child in late spring. Kensington Palace released a photo of the Duke and his son, getting ready to leave for school. George was joined by his third cousin, Miss Maud Windsor, elder daughter of Lord and Lady Frederick Windsor at the school. This photo was taken by Getty's Chris Jackson.